There are many MBOX file to PST converter but none of them works as perfectly as “Mail Extractor Pro” from USL Software. It is an intelligent tool that features multilayered algorithms, easy interface, and sharp controls for best data migration results. What are MBOX file & PST? How to Convert MBOX file to PST? MBOX and PST are data files for storing emails. The former is more generic in nature and is used by many clients and software, but PST is only for Windows Outlook. Despite similar use and function, they are vastly different in data structures and tables, making it hard to convert their formats. You also can import the PST file to Mac Outlook. The only way to do it without losing the details is precise algorithms that adapt to the complex information email files can store. And only “Mail Extractor Pro” is the one that gets it just right. 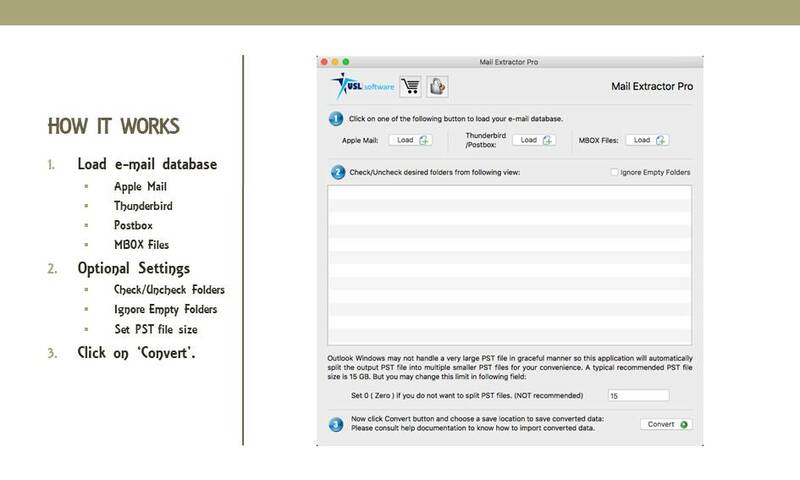 Only tool that convert your email from Apple Mail, Mozilla Thunderbird, Postbox and MBOX file to PST. It also makes sure that the interface to convert the data is simple enough for anyone to navigate, and not just for advanced users. If you can do the basic task like sending an email, “Mail Extractor Pro” will be a painless from start to finish.The clever UI elements are placed to make intuitive sense to beginners. So you do not have to know the technical background info on the process. The tool scans them completely. It shows you all the folders inside them. You can convert all of them or by unchecking the boxes. You can exclude any folders you do not want to convert. Click ‘Convert’ to begin conversion. Depending on the number of MBOX Files and their size, the tool will take a few minutes to process all the data into PST files. The tool is substantially quicker than most similar converters available today. If you are concerned about any incomplete or missing items, do not be. The tool has a powerful algorithms network at its core. It scans and extracts files on a multi-layered basis, leaving no chance for partial output. Everything – from images, attachments, headers, metadata, and folders – are converted properly. The large and multiple MBOX files are also converted to PST in one go. If you have a large database as well, convert all of them in a single attempt. You do not worry about any performance drops or compromise to the data fidelity. It works on large scale migration projects as precisely as with any other decent sized files. Best MBOX to PST Converter Tool That Works On Mac. There’s a free mode as well that you can try now. It gives you chance to see how the features work and how simple the interface is. You can activate it later whenever you feel comfortable. And do not forget, there’s a 24 x 7 tech support. You can always rely on if there’s a question or you feel you need help during MBOX file to PST conversion. 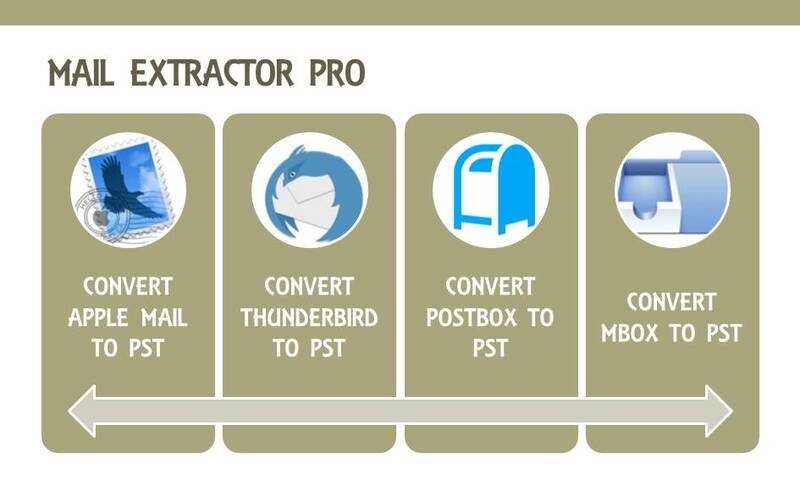 “Mail Extractor Pro‘ not only converts MBOX file to PST, but also converts Apple Mail, Postbox and Thunderbird to PST file format. You can import the PST file to both Mac Outlook and Windows Outlook. Get this for now hassle MBOX file to PST Conversion. All attachment will be preserved. If you are looking for mbox file to pst converter, then must try this application.